Afternoon tea at Le Dolci! Just a quick note to let everyone know that the August Food Calendar and all its family members are up and running with all barrels blazing! I might as well have event listings come out of my ears! EVERY single Food Calendar page has been updated right down to making a separate page for the Wine, Beer, and Spirits (which should make some of you veeery happy- no more sifting just to get to the good stuff, right?). 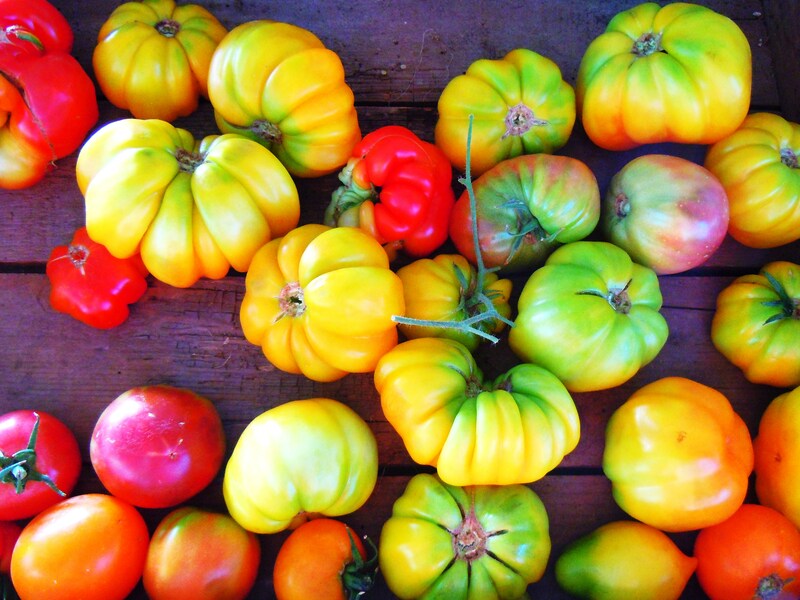 Summer may be officially half over, but you’d never be able to tell by looking at the calendar – there are SO MANY fabulous food events and festivals going on this month and I have a handful that I am extra excited about! I’ll be updating this post with my monthly breakdown, cliff-notes version of the Food Calendar in the next day, highlighting all the amazing things going on this month, so hover over the Food Calendar link on the menu bar to get a taste of what’s to come! Blueberries at Evergreen Brick Works! August is here so let’s get this food show on the road! I can’t believe how many different types of food and cultural festivals are planned for this month, especially the ones celebrating Jamacian, Trindadian and Tobago, and Caribbean history, heritage, and culture, commemorating the 50th anniversary of national independence. Just to give everyone an idea of the diversity of events we can look forward to in August, here are the specifics in alphabetical order: International Festival (Caribbean, Italian, Portuguese, Latin, and more), Island Soul (Caribbean), Jambana (Jamaican), JerkFest, Planet IndigenUS (Indigenous), Taiwanfest, Taste of Somalia, Taste of the Danforth (Greek), Toronto Mela (South Asian), and the Toronto Turkish Festival. Some people might think of festivals as gimmicky, but I personally love them because 1) who doesn’t love a street party? !, 2) food is ALWAYS involved in a cultural festival, and 3) it gives everyone from every ethnic background the opportunity to learn just a little bit more about an ethnic culture that isn’t their own. Sure, this experience and knowledge may be bare-bones and superficial at first glance (you’re not going to learn everything there is to know from one festival! ), but it’s about celebrating and that’s what matters. I’m especially excited about the Turkish Festival and I’m hoping I can make it out to the event that day. All events are listed in the Food Calendar, so check the listings for all the details if these spark your interest. 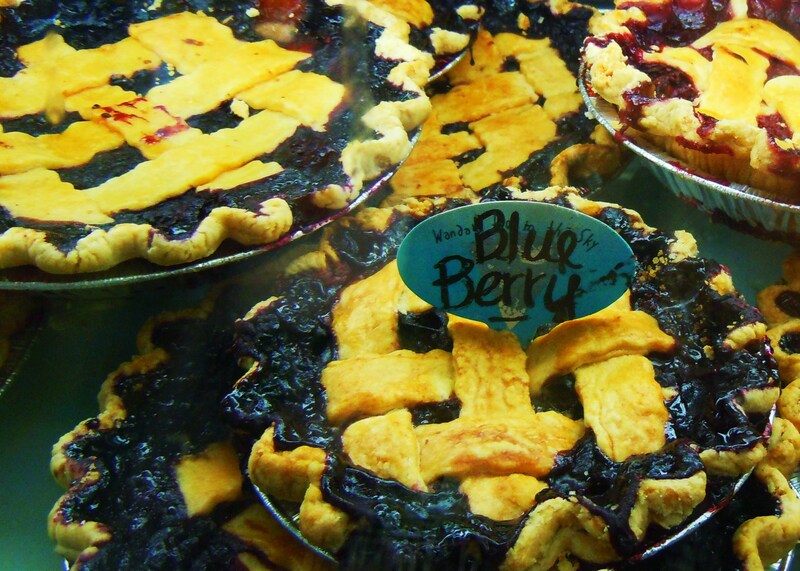 Stuff your face into some blueberry pie & other blueberry eats! Aside from the plethora of cultural food festivals, there are quite a few things I’m highly anticipating this month! 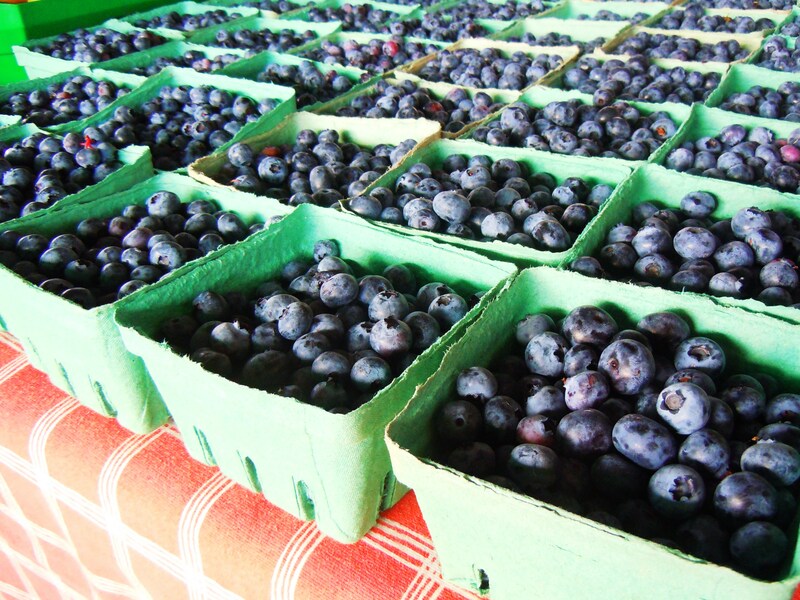 First, the Wild Blueberry Festival at Evergreen Brick Works happening August 11 from 8am-3pm! A day to celebrate and eat all things blueberries? I’m in! The Saturday morning farmers’ market will be swarming with special blueberry sweet and savoury goods from market vendors, there will be a blueberry pie bake-off, tasting contest in the Local Food Court (ballots for$2!) where you can vote for best use of star ingredient, sweet dish, savoury dish, and best-looking pie, a wild blueberry garden talk, and lots more! 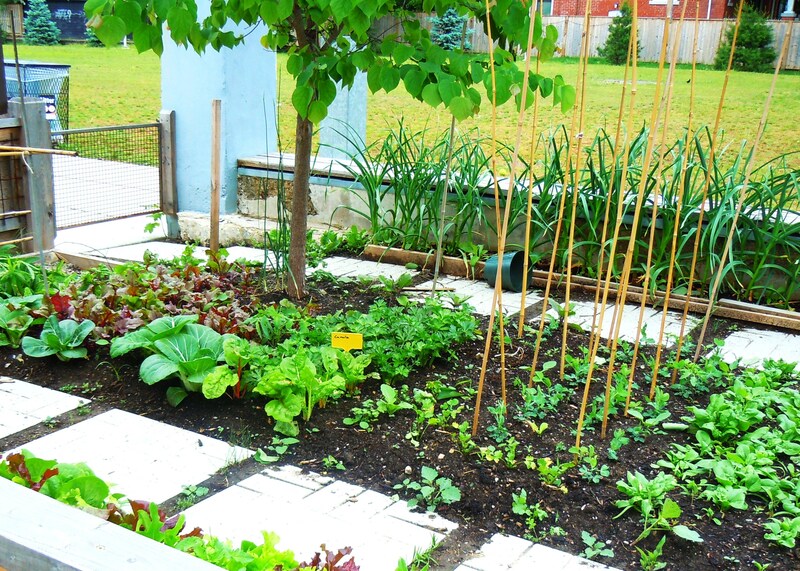 The Urban Agriculture Summit is also happening this month from August 15 – 18 at Ryerson University which is fabulous for all those who are interested in issues such as food security and accessibility, urban growing, rooftop gardening and greenhouses, and more. This is a HUUUGE conference with panels, seminars, workshops, tours around the city, keynotes, and special evening receptions. I can’t even imagine what a wonderful educational opportunity this will turn out to be. After organizing and hosting an academic conference in grad school with some friends and colleagues myself and gaining insight into what conferences are all about (and boy, did I ever! ), it makes me feel all warm and fuzzy knowing how much people will take away from it, both academically and socially. Now, let’s talk tea. For those who love tea like me, there are two events that might be of interest to you because they sure are to me! Le Dolci will be hosting their first ever Prêt-à-Portea – Afternoon Tea on August 26, complete with tea, scones, tea sandwiches, pastries, and beautifully, stylishly decorated haute couture sugar cookies! On the other side of the pond (specifically, Markham! ), the Varley Art Gallery on Main Street Unionville will be hosting a special tea tasting and seminar also on August 26 where participants will have the opportunity to taste different types of loose leaf tea and also engage in a seminar and talk about tea traditions, rituals, and more. 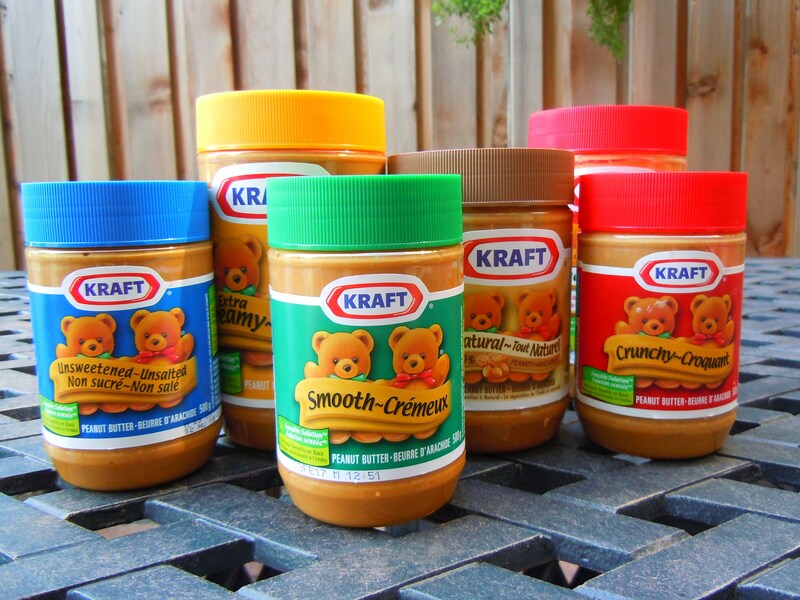 KRAFT Teddy Bears & Peanut Butter are coming to town – food truck style! Finally, I am in absolute CONNIPTIONS over this next event I’m about to tell you all about: KRAFT Peanut Butter Food Truck Tour! OH.MY.GOD. The adorable KRAFT peanut butter teddy bears are touring across Canada in a snazzy green food truck (like the green of the Smooth Peanut Butter jar) and will be coming into town during the Scotiabank Buskerfest on August 25th!! I am beyond excited! In a nutshell, times are a changin’ and everyone is on the food truck bandwagon wanting and begging for more. Shows like Eat St. on Food Network have only worked to make us crave more! So, in accordance with current food trends, KRAFT will be humming into Toronto (one of 5 stops on their Canadian tour), offering peanut butter eats (peanut butter s’mores, peaut sauce noodles, peanut butter Belgain waffles, and more) AND two custom menu items and creations exclusive to each city sent in by PB fans! Check out the official food truck tour site HERE for all the delicious details! I’ll be adding more events to The Depanneur and Cooking Classes pages as I get them, and as usual, if there’s anything you would like me to add to the calendar, just give me leave me a note here. With great events happening, both sweet and savoury, August will surely be one very delicious month! Welcome to the first edition of “Confessions of a Brunch-Obsessed Foodie” chock full of breakfast thoughts and ramblings from the mind of yours truly! The inspiration? I’ve come to realize that while many of you have been following Ate by Ate for some time now (regularly and every so often), there hasn’t been any way for you any of you to know what to expect aside from the monthly food calendars and the regular weekly farmers’ market and cupcake shop posts. I admit, I like to keep many blog-related things I’m working on under wraps. If I revealed everything, all the fun and anticipation (for those who read and even for myself) would be lost and besides, I’m a girl who likes to keep a few tricks hidden up her sleeve! First: brunch in Markham. Someone please enlighten me. Maybe I just need to be a little more patient in my search. Maybe I just need to give it some time. But seriously folks, it’s slim pickins in my neck of the woods. I have my beloved T&T Bakery & Cafe and my wonderful Chinese and HK-style diners, yes, but I’d love to try other places (and by places I mean more independent spots as opposed to chains as I avoid posting about chains as best as I can on the blog) and it’d be great to have a little more variety. After all, if Markham is going to live up to its newly-minted city status, it has to step up in this department! I started doing a little research and while I found a few options (hmm, Angus Glen Golf Club! ), I have my work cut out for me. I am looking forward to posting many more HK-style diner posts in the coming months though, just because it’s like comfort food to me. What you see up top is a rare display of Chinese and HK-style breakfast on the blog (only one post to date, if I remember correctly – how shameful), one showing my favourite diner drink, Ovaltine (hot or cold, doesn’t matter) and the other showing one very tasty waffle with fruit, ice cream, and chocolate fudge drizzle! 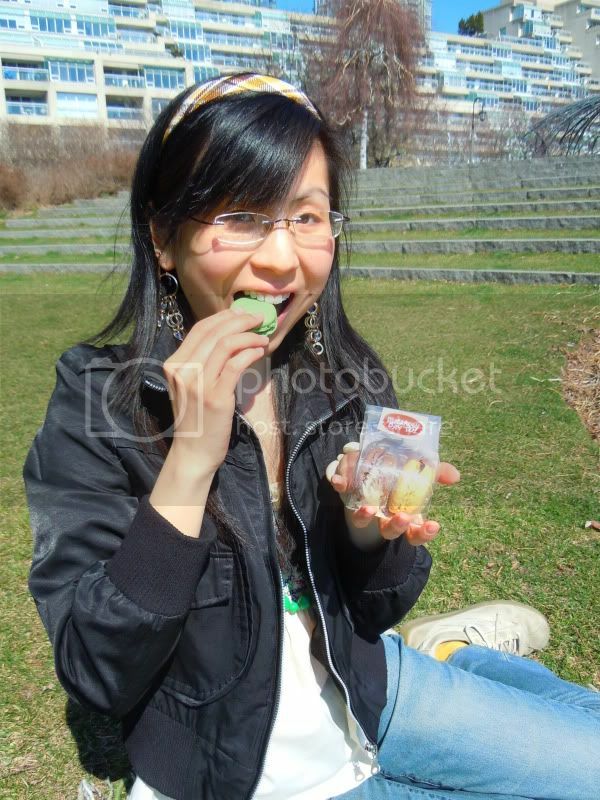 Note the honeydew melon on it though – I had to give those to my mum. Cafe Uno – Saturday and Sunday weekend brunch. My coming to Cafe Uno for brunch has been a loooong time coming and it’s going to happen sooner or later! 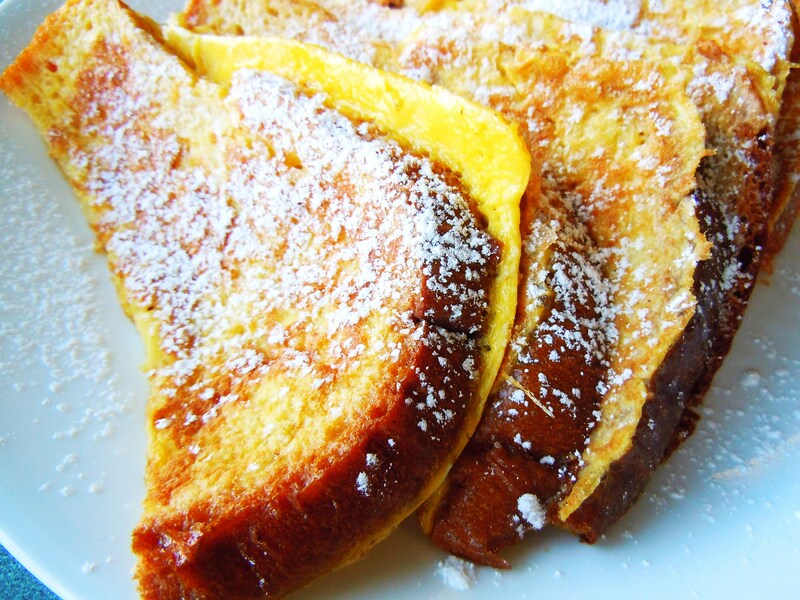 They have a big brunch menu with lots of options such as omelettes and frittatas, but what gets my motor running is their stuffed French toast dishes, especially their cranberry apple crumble French toast! (55 Mill St., building 32, suite 102. in the Distillery District). I hope you guys liked this first edition of Brunch Thoughts because I certainly have a blast talking about it! Each and every single Brunch Thoughts post will feature 5 spots in the city on my hit list with a run-down of all the dishes I’d love to eventually try. And if you’re so inclined, head on over to any one of them and give them a try! Going to Evergreen Brick Works always feels like a special day trip right here in the city. It’s like a little oasis, combining urban and grassroots with its nature trails, scenic gardens, and historic industrial heritage. Evergreen Brick Works is a thriving hubbub of activity with so much more than just their Saturday morning farmers’ market to offer. There are site tours, outdoor fitness activities, gardening and cooking workshops, programs and camps for children, film screenings, family pizza nights, tastings, beer and brewery gardens, a Sunday morning antique market, local food festivals, a lovely cafe and farm-to-table restaurant, a portion of the area dedicated to cycling and hiking with workshops and community events, expos and installations (they’re currently promoting their MOVE: Transportation Expo and let me tell you, it is fantastic! ), and of course, the venue and host of some of the city’s most popular food events such as Toronto Underground Market and most recently, Lobster Love. My latest visit was my first since Earth Day in April and my first during the summer months in general! I had never been to the Brick Works in the summer before so I was itching to visit the beautiful and gigantic outdoor market to pick up some delicious food, in addition to checking out the MOVE expo, eating at Cafe Belong (you knew a blog post on Cafe Belong would come eventually! ), and walking around the grounds a little bit on a warm summer morning. It was wonderful. I was there bright and early, just before it got too hot and being there felt so nice and invigorating. The farmers’ market was already crawling with a large crowd of people and it was so exciting to see the market in its summer form. I drooled over the fresh corn tortillas by Maizal, nibbled on one very delicious pork sausage and cheese roll that my boyfriend had bought (piggy in a cheese blanket! 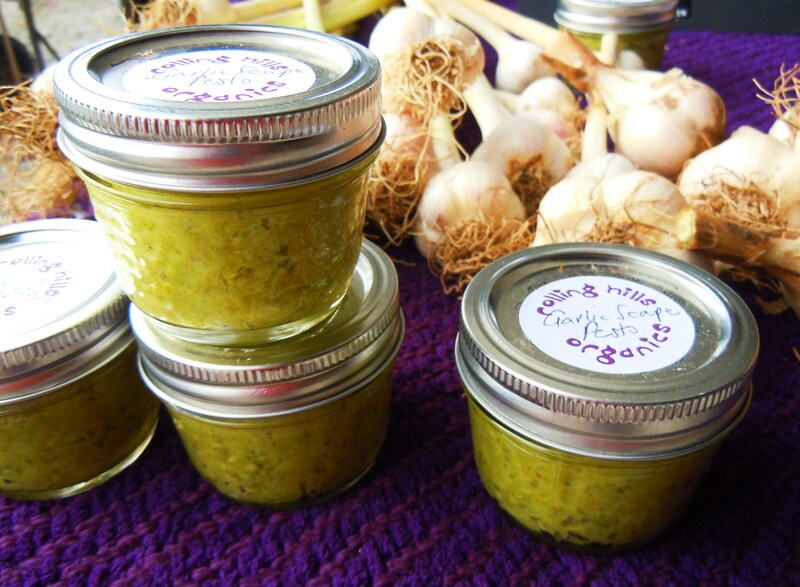 ), sampled some amazing cheeses, and picked up some corn bread, two spreads and dips by Mad Mexican (a turtle black bean and jalapeno dip and a roasted tomatillo and avocado salsa! ), and a beautiful and delicous fresh fruit tart with kiwi, candied oranges, and tiny bright red gooseberries! Gooseberries aren’t something you see very often on baked goods and pastries and they were so sweet and cute dangling from their stem, all chubby-like in their cluster. 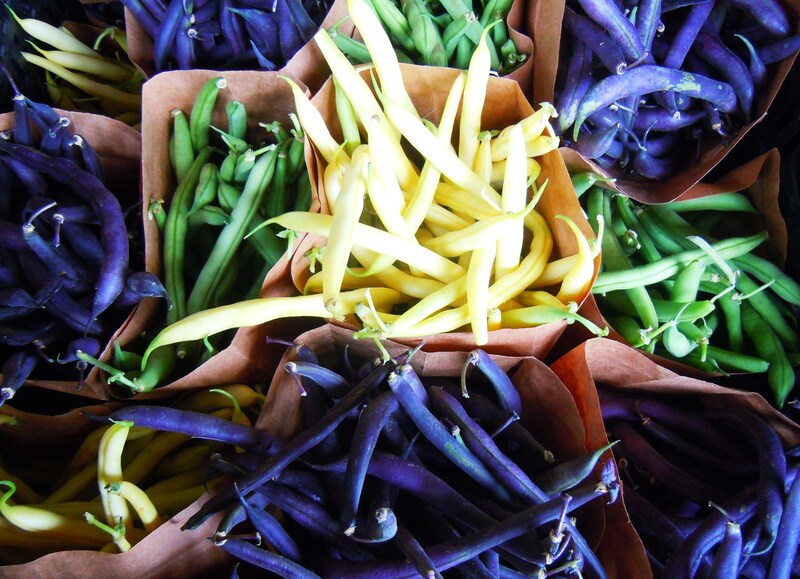 I wanted to share with you all some of my favourite photos from the market that morning and some of the things I loved the most including garlic scape pesto, gorgeous heirloom and yellow tomatoes, bright and colourful swiss chard stems, pints of blueberries and tomatillo peppers, “rainbow” green, yellow, and purple wax beans (these beans make for fabulous salads! 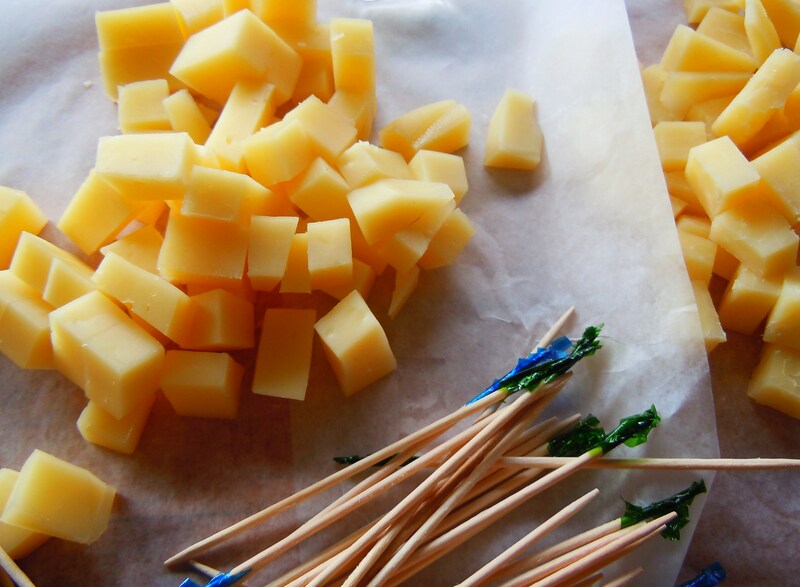 ), and lots of cheese! I also love, love, LOVE that a whole section of the market is dedicated to prepared food. It makes it so much to fun to eat and grocery shop at the same time! On hand in the EBW market “food court” were LPK with their vegan baked goods, Chocosol, Mad Mexican chips, salsas, and dips along with Maizal corn tortillas, crepes, grilled cheese and scrambled egg sandwiches, cupcakes, salad plates, scones, waffles, and so much more. One of these days I will do a market “food court” post and get a bunch of different things to show you all! This visit was probably my most favourite out of all my trips and it was so much fun seeing Evergreen in all its summer glory. 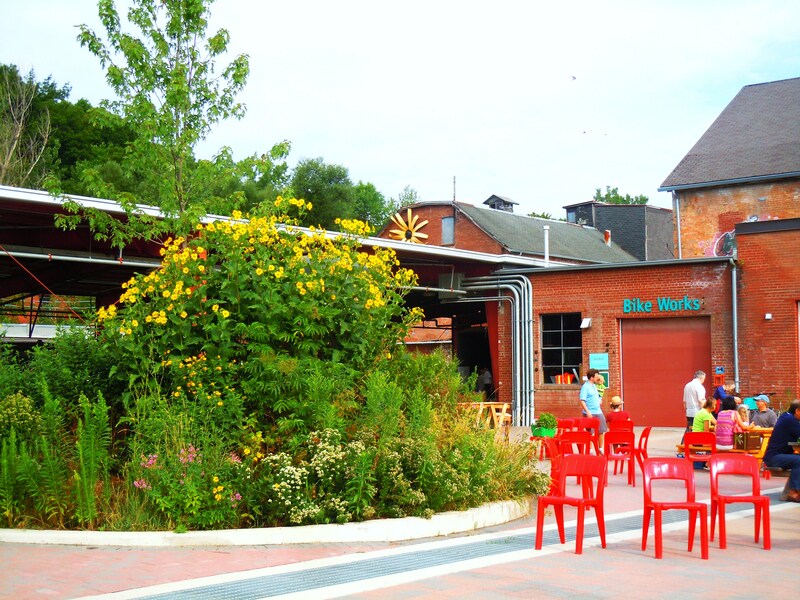 Evergreen Brick Works is located at 550 Bayview Ave. 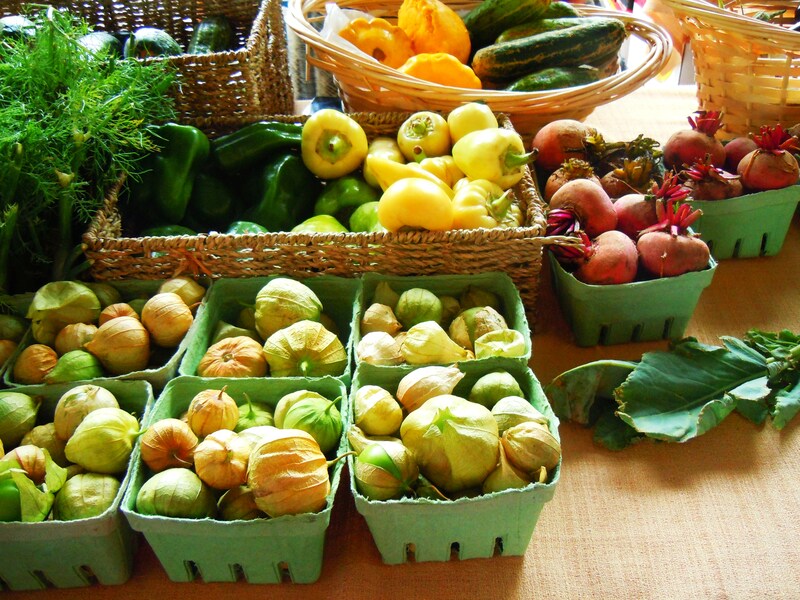 The farmers’ market takes place year-round every Saturday from 8am-1pm. If taking public transit, there is a free shuttle bus that operates 7 days a week beside Broadview subway station, as well as the 28A Davisville TTC bus that runs on Saturdays from 8am-3pm between Evergreen Brick Works and Davisville subway station. Click here to learn more the site, their events and programs, and how to get here by bus, bike, car, or foot. The Cupcake Connection, Vol. 003 – New Flavours Everywhere! Fruity Citrus & Berries, Fudge, S’Mores, & More! Chocolate, vanilla, and 3 *NEW! 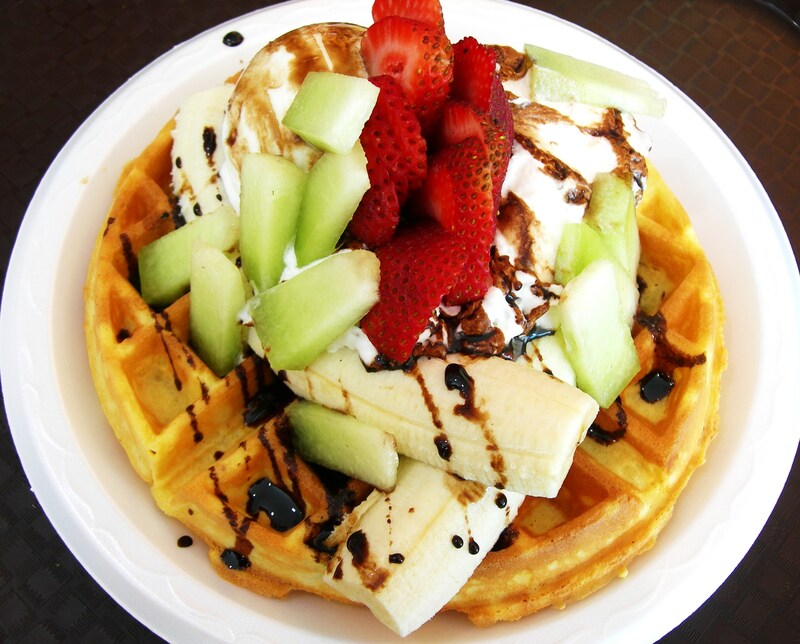 * flavours at Le Dolci! Welcome to the 3rd edition of The Cupcake Connection where the flavours are sweet and the news is hot! I can’t believe it’s already been a month since the last Cupcake Connection – I feel like a little hamster on a wheel with the never-ending updates and news to keep up with and catch up on! But I have to say, writing The Cupcake Connection is one of the funnest series to write on the blog because it forces me to find out the latest and greatest and in the process, you get to know the cupcake bakeries so much better as you get more familiar with their flavours, their products, and their business. 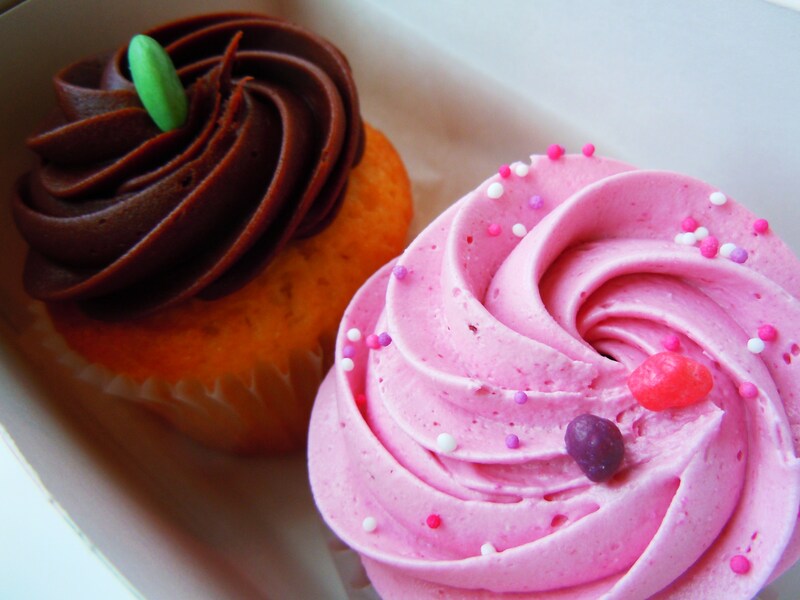 And besides, who doesn’t want to know everything there is to know about cupcakes in their city? 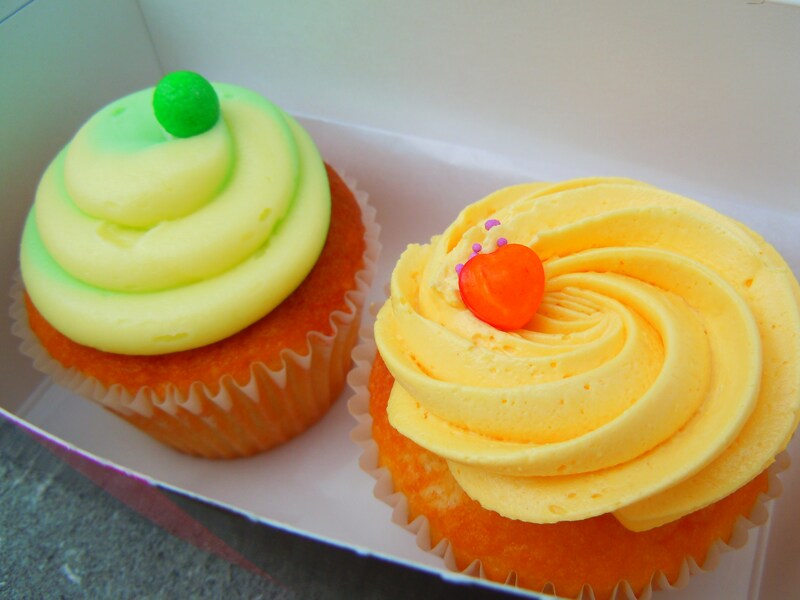 This particular Cupcake Connection is solely devoted to FLAVOURS! It’s quite possible the summer heat has spurred some insane creativity and drive among cupcake bakers because it’s almost as if the flavours available now have doubled! No complaints from me! First up: Le Dolci! Since moving to their new studio on Dundas West across the street from Trinity Bellwoods Park, Lisa, Miya, and fellow icing sugar queens have doled out a slew of new cupcake flavours (and other desserts, pastries, and tea!) to serve in their adjoining retail and cafe. 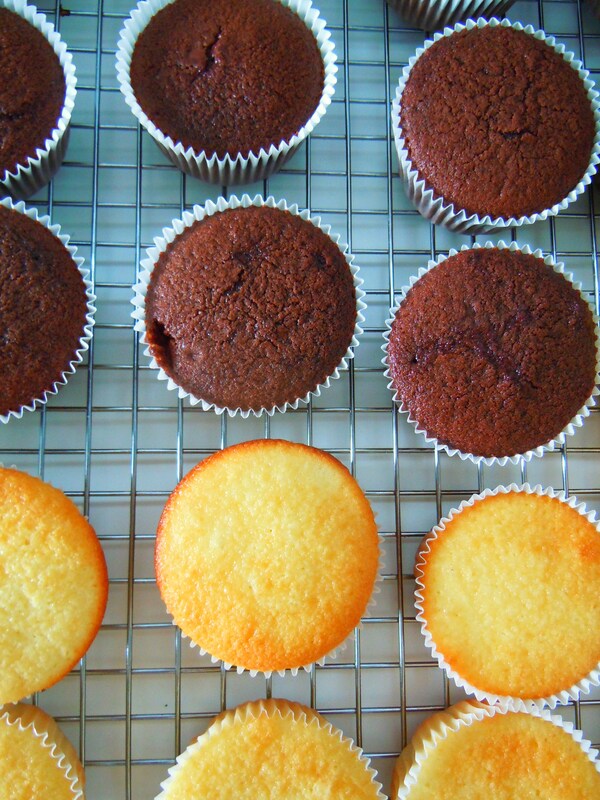 In the studio’s sweet beginnings, we baked batch after batch of decadent vanilla and chocolate cupcakes (pictured above) but now, cupcake lovers have 5 flavours to choose from! In addition to vanilla and chocolate, you can sink your teeth into lemon, coffee, and salted caramel! Salted caramel I can take or leave (don’t throw things at me! ), but lemon and coffee?! I am ALL OVER THOSE like peanut butter and jelly. I can’t wait to make a return visit to the studio to check these out. Prices are $2.95 for each cupcake, $16 for half a dozen, and $32 for 1 dozen. New flavours have joined these original cupcake family members at The Cupcake Shoppe! Le Dolci isn’t the only cupcake emporium that’s been dishing out the new flavours though – The Cupcake Shoppe has unleashed a truckload of new, mouthwatering, foodgasm inducing flavours in celebration of a new era for the popular cupcake destination. Not only are they celebrating the opening of their NEW shop in Vaughan by Bathurst St. and Rutherford Rd. (the shop opened on July 12th – barely 3 weeks old! ), but I feel like they’re celebrating more than just an expansion; they’re celebrating growth in general and when I checked their website to do a little research and news digging for the this edition, I literally gasped and almost fell out of my chair when I saw all their new flavours! 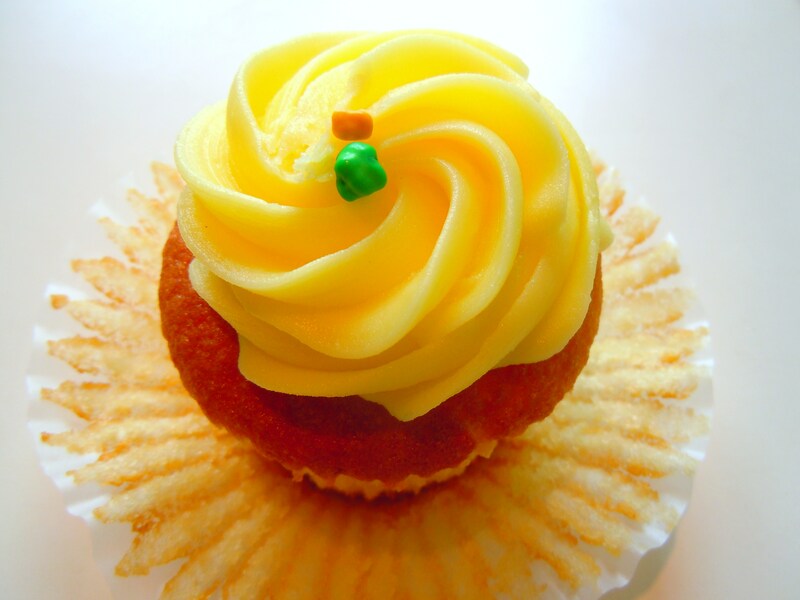 The amazing Lemon Drop is now on the permanent menu! I AM IN CONNIPTIONS OVER THIS! I am beyond ecstatic. I am SO excited to try these new cupcakes and after making a very quick visit to the Yonge-Eglinton location to take a peek at some of their news on deck, I can say for a fact that they look amazing and are most likely some of their best ones yet. You all know I’ll be reporting back with oodles of photos and deliciously descriptive words for the ones I love (eh, who am I kidding, I will most likely love them all). In addition to these new flavours, there are some other menu changes that are worth noting. Prices for cupcakes are now $2.85, my beloved Lemon Drop cupcake has been happily promoted to regular menu status as opposed to just seasonal, their carrot cake cupcake is now a regular (while it wasn’t on the original menu in the beginning or one of the 5 newest, it started making much more consistent appearances over the last year), and the Crummie cupcake has been given a fresh makeover. Instead of gummy bears, a cookie wedge now takes center stage on each and every single Crummie with cookies and cream buttercream on chocolate cake. With these changes nd exciting additions (and not to mention a new shop which I still need to pay a visi to!) The Cupcake Shoppe has effectively found a way to keep me occupied for YEARS to come! Short & Sweet’s upcoming August Flavour of the Month! Chugging right along, in less than a week Short & Sweet Cupcakes will be enticing everyone with their August Flavour of the Month, Banana Split (banana cake with vanilla frosting, hot chocolate fudge drizzle, and rainbow sprinkles), annnd they’ve introduced a brand new flavour to the cupcake family: Bostom Cream! A vanilla cupcake dipped in fudgy chocolate ganache with a sweet, creamy custard filling oozing out! You can check out their “reveal” photos on Facebook HERE. And come Fall 2012, they will also be opening new doors in York Region with a brand spankin’ new location at Dufferin St. and Major Mackenzie Dr. West at Eagles Landing! 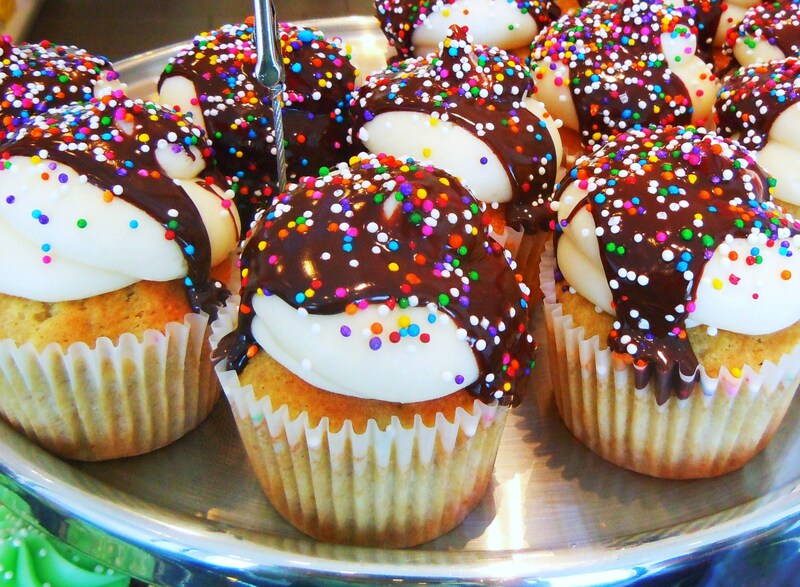 Cupcakes, cupcakes, everywhere! 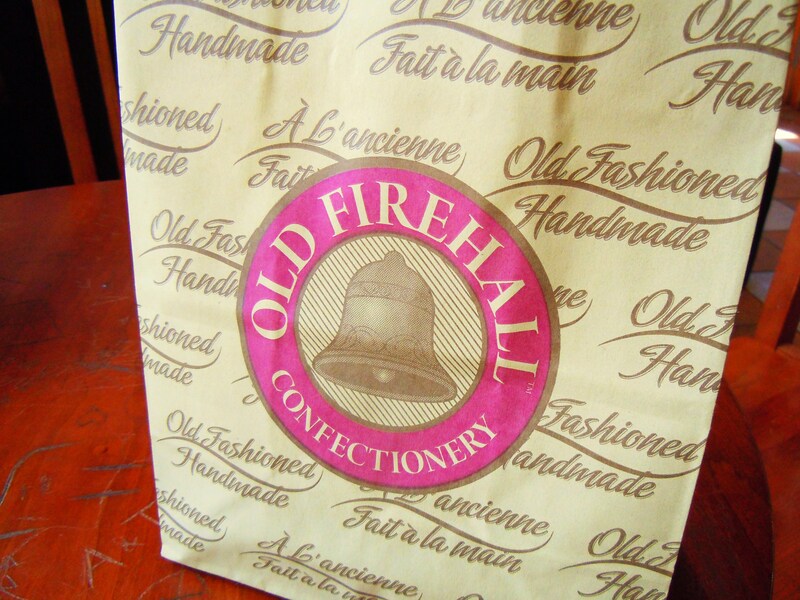 Finally, Old Firehall Confectionery on Main Street Unioville in Markham (in my neck of the woods) has some fabulous summer flavours to enjoy including a GRAPEFRUIT CUPCAKE! OH.MY.GOD! Grapefruit?! NOBODY in the city, to my knowledge, does a grapefruit cupcake and what makes it even MORE special is its unique and Firehall signature square cupcake shape! They have their cupcake available in two sizes with the small one being the normal size ($2.89) and the large one being the large one for $3.99. I was shocked out of my pants when I discovered this (but sadly could not have one as I was rather full from dinner) and I am determined to get my hands on one this summer! Phew! That is a LOT of cupcake news! Given how much more there is to enjoy, I foresee many happy sugar rushes and buzzes in the near future and beyond. Enjoy, everyone, and have a happy weekend! 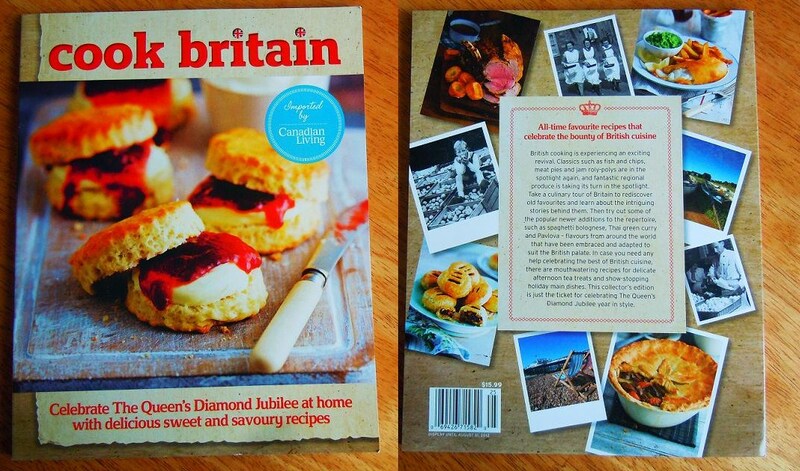 Good Eats, Good Reads – A British Cookbook, and Ice Cream & Donut Shop Mysteries! If you’re anything like me, you have a bookshelf (or even multiple bookshelves!) full to bursting with books of all kinds: novels, comic books, coffee table books, and one of my loves, cookbooks! It’s been a long time since I posted anything related to food books and reading material so I wanted to share with you all some of the things I’ve been head over heels in love with as of late. I am a cookbook addict. 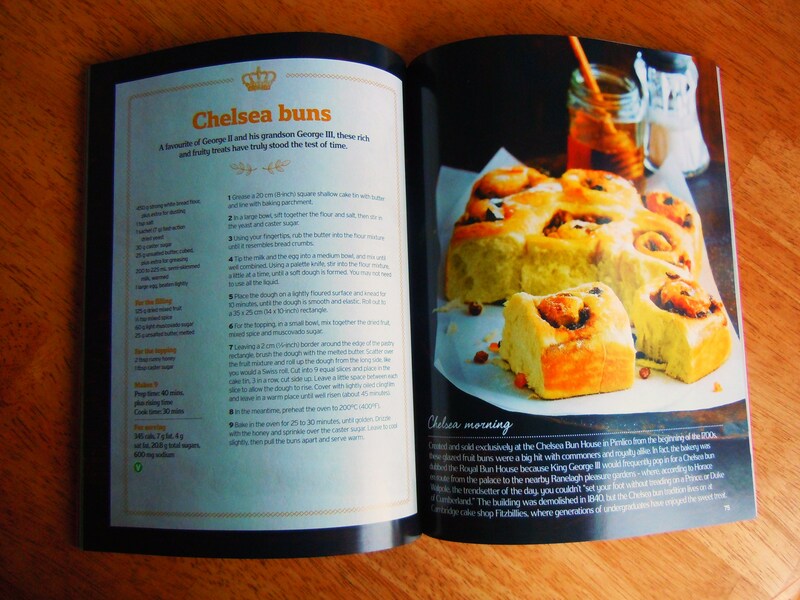 I’m one of those people that loves them for the photography and art direction even more than the actual recipes inside. There are so many different styles of cookbooks though and while not all of them are practical, straight-forward, or even remotely useful to the average homecook, I think there is value and beauty in all of them no matter what the focus may be. Everyone has their own priorities when they go about hunting for great cookbooks and it’s all about what you gain the most insight from. For me, cookie cookbooks are, hands down, the most practical and useful for me. I know I’ll use the recipes, I know I’ll go back to them time and time again for inspiration, for actual baking, and for resourceful things like measurement conversions. Then there are the coffee table type of cookbooks. The type that most likely have some great recipes in them, but are so pristine and beautiful you can’t bare to crack the spine much less use them in the kitchen. And then there are the ones like the one I’m posting about here. 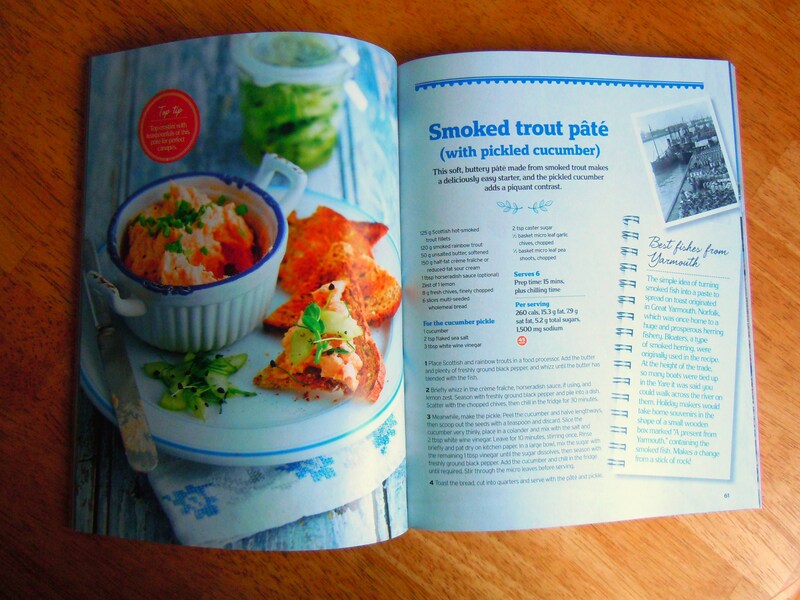 I was in conniptions when I saw the magazine advertisement for Cook Britain by Canadian Living ($15.99, Transcontinental Media). Sure, I’m absolutely amoured by Prince William and the darling Kate Middleton (I love her to pieces), but my motivation for getting this book had far more to do with my desire to learn more about British food than just a trivial fascination with the British royalty. There’s no doubt that I love food. But I am far from a global eater. I’m a girl who’s just soaking it all in, learning day by day and when I saw the ad for the book, I knew there was no better time to get my feet wet in learning about British cuisine. I will be the first to admit that I know nothing about British food but that I’m SO excited about this book and what I’ll learn from it. I certainly won’t turn into an expert after reading it, but it’ll give me insight and a very basic knowledge to springboard from because I can’t talk about British food on the blog until I start learning about it and I think this will be a great start. This book is wonderful because it’s a mix of everything: recipes, beautiful photos of food, and plenty of food history and information about regional British, Scottish, and Irish food including steak and kidney pudding, Irish champ, and Scottish shortbread. Along with the incredible amount of fun I had during my last visit to Sorauren Park farmers’ market back in June tasting, photographing, and learning about some British and Irish eats, this is, in my opinion, the best way to dip my toes in the water. Annnd cookbooks can also be disguised as beautiful, adorable, colourful and amazing murder mystery novels! If you’ll recall, I am all hugs and squishes over the Hannah Swensen mysteries by Joanne Fluke and I’ve continued building my collection and reading my way through the series (newest book in the series that I don’t have and need to read? Cinnamon Roll Murder! ), but my oh my has this particular genre ever exploded! 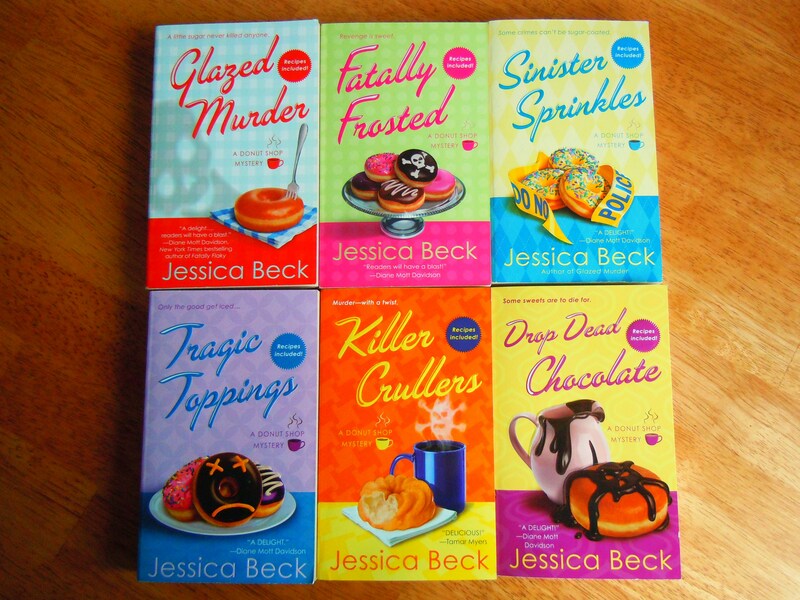 There are SO MANY foodie murder mystery series out on the market and I am ecstatic about it! 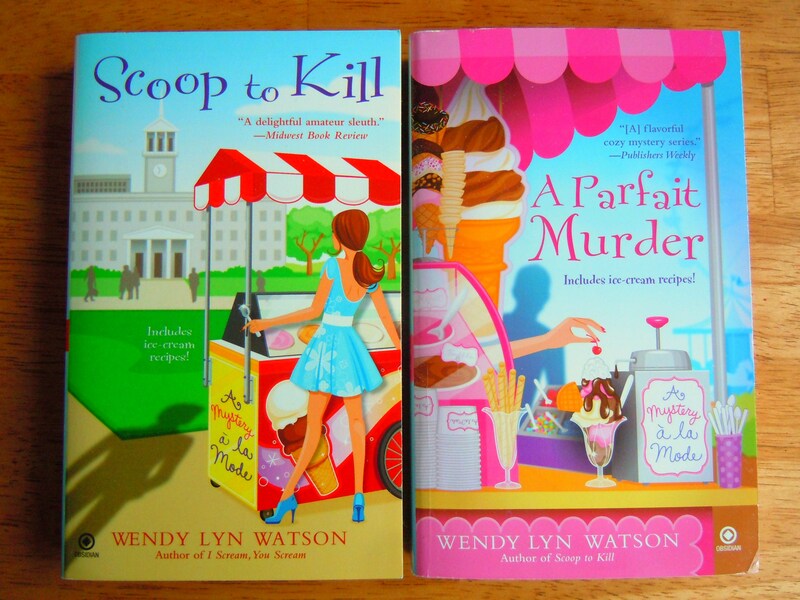 The two series that I’ve been spending a little more time on are Wendy Lyn Watson’s ice cream shop mysteries (A Mystery a la Mode) and Jessica Beck’s Donut Shop Mysteries. 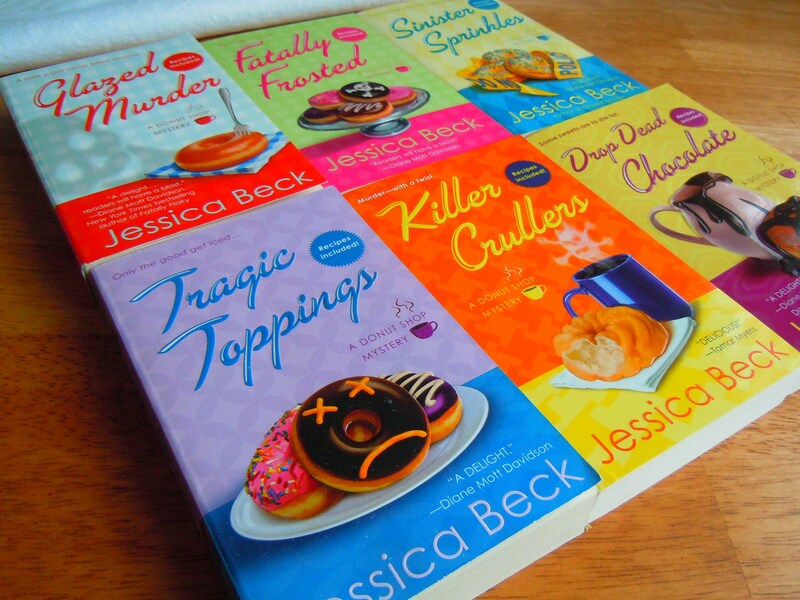 I’m missing one book from each series (the first one in the ice cream shop, I Scream, You Scream, and I believe the 4th one in the Donut Shop Mysteries, Evil Eclairs) and the latest two, Killer Crullers and Drop Dead Chocolate I just purchased last weekend! These books are so much fun (and yes, they do have recipes in them) and I could spend eternity reading these from cover to cover. In addition to these two series, I’m eyeing a whole truckload of others including Cleo Coyle’s Coffeehouse Mysteries, Sheila Connolly’s Orchard Mysteries (apples! 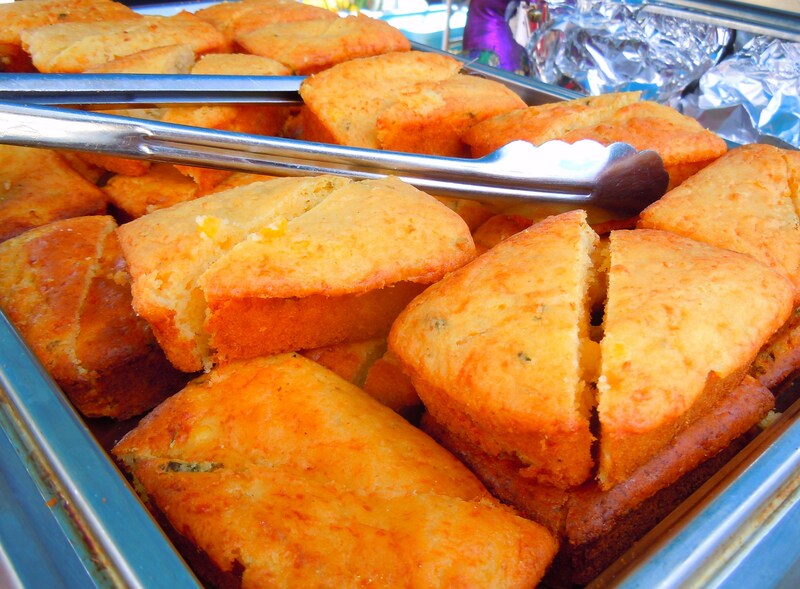 ), Livia Washburn’s Fresh-Baked Mysteries (Ooo, killer crab cakes and pumpkin muffin murders! ), Chris Cavender’s Pizza Lovers Mysteries (mmm, pepperoni), AND – get this – a CUPCAKE BAKERY MYSTERY SERIES! I just discovered this series over the weekend and like any avid bookworm foodie, I snatched up the first one in the series: Sprinkle with Murder. The series is written by Jenn McKinlay and there are, I believe, 3 books so far. There’s nothing like a fresh new food magazine, novel, and cookbook to cuddle up with, so if you get the chance, definitely take a look-see at some of these fab reads and feel free to share your favourites too! 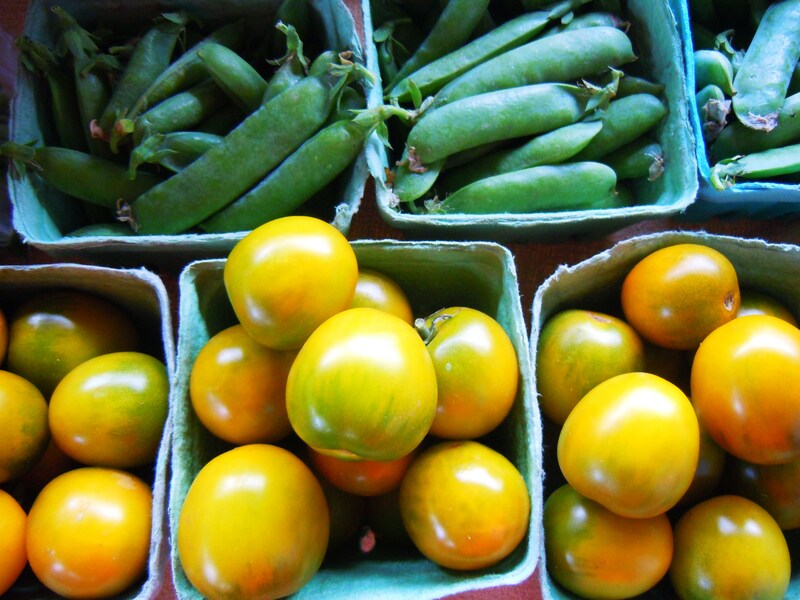 Summer Food Throwdown – Southern BBQ, Colombian Dinner & *NEW* Tasting Plates at The Depanneur! More food, more yumminess at The Depanneur! In addition to The Dep’s fab drop-in dinners, supper clubs, workshops, and classes, the cafe menu has expanded! Not only can you stop in for their famous frittata breakfast sandwiches and grilled cheese, but now you can also feast on tasting plates full of seasonal, local food! Each week The Dep will be offering up a handful of dishes that you can pick and choose from for $3 each. Have one, have two, or have all 5 and create your very own tasting plate masterpiece! 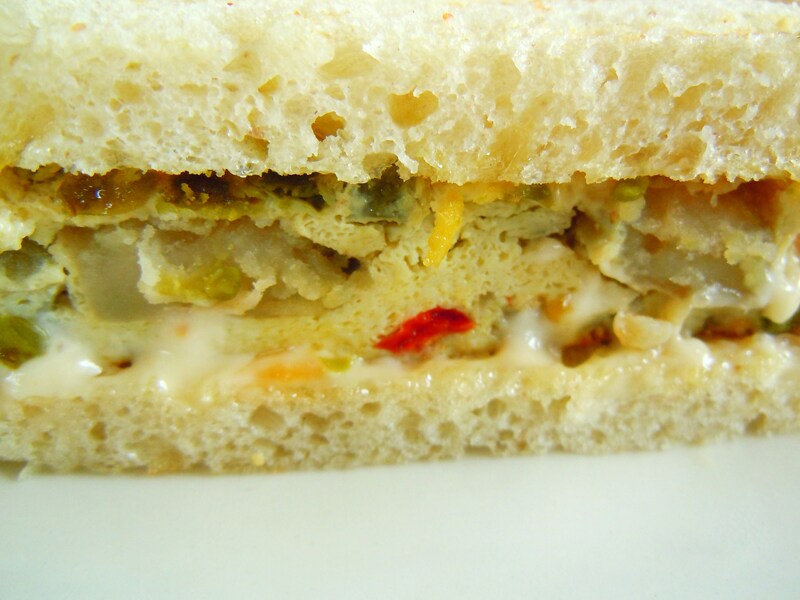 There are plenty of vegetarian and vegan options to go around, and just think, you can combine any one of these tasting dishes with one of their soups and sandwiches to make your meal extra special! This week: roasted potato salad with a creamy lemon herb dressing; spicy carrot salad with feta; grilled plums with honeyed ricotta; organic mixed greens with apple cider vinaigrette; and homemade oatcakes, grilled sourdough or walnut-raisin toast. 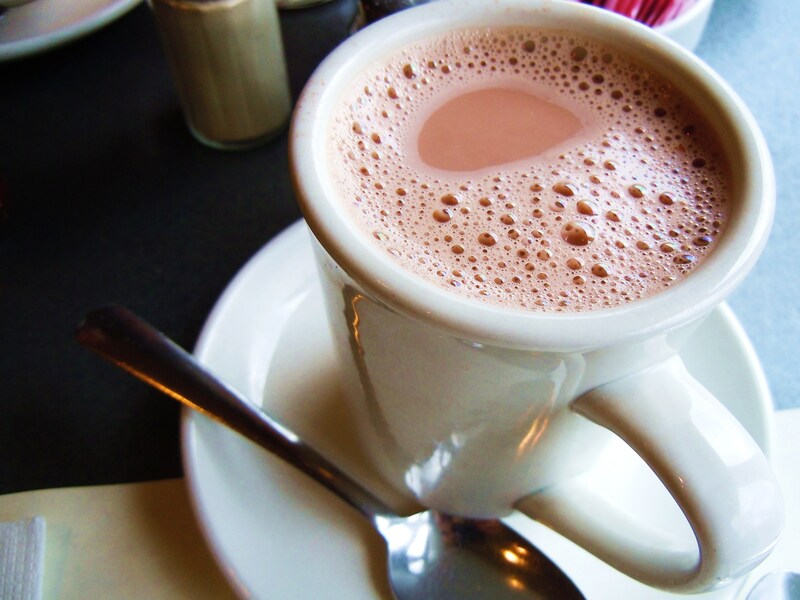 Friday Night Drop-In Dinner: Colombian Ajiaco with Cookie Martinez, July 27. 6pm-8pm. 1033 College Street. $12 including tax. 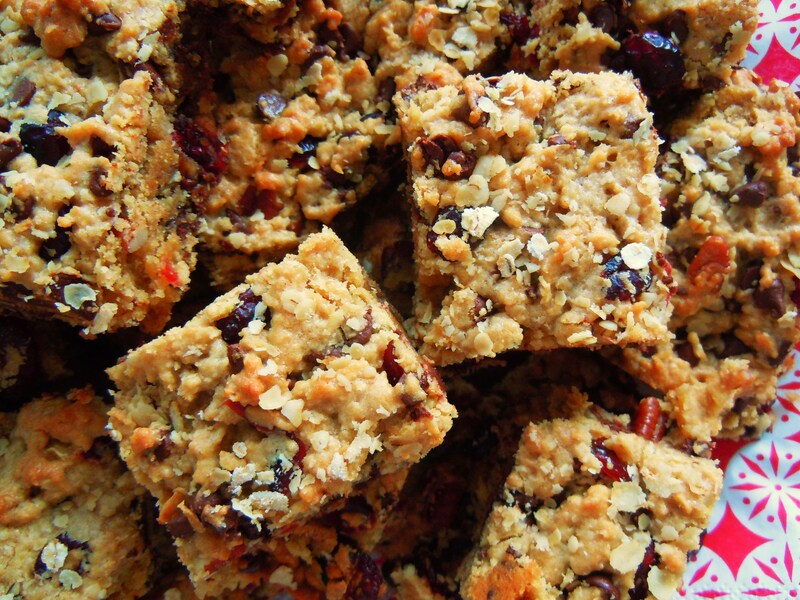 Join South American cuisine and cookie baking guru, Cookie Martinez (you may have tasted her wares at the Liberty Village Soft Choice office markets! 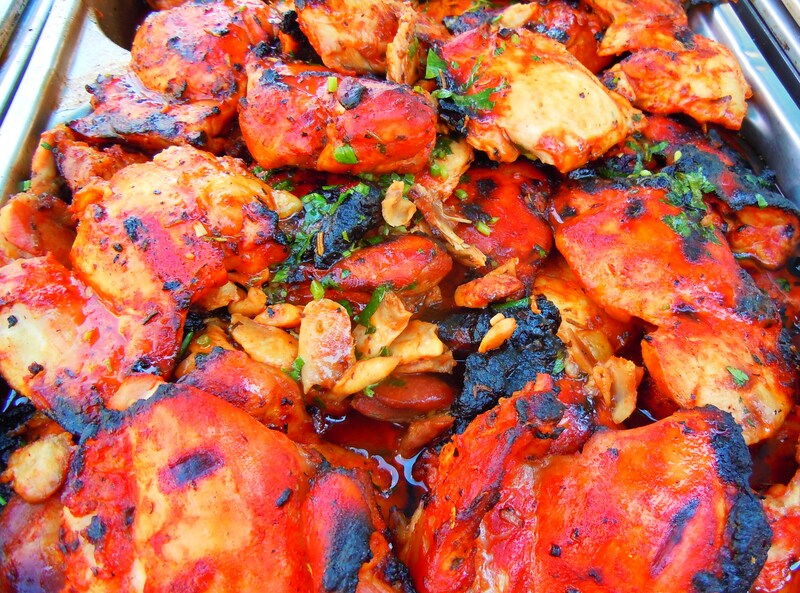 ), for a summer feast of chicken stew straight from her home of Colombia. Known as ajicaco, this is a hearty bowl of chicken, corn, capers, creme fraiche, cilantro and creamy yellow potato (papa criolla) distinctive to Colombia’s capitol of Bogota. This meal becomes even more amazing with a side of rice, avocado, and crispy, melt-in-your-mouth fresh corn arepa. Grab a seat and enjoy a summer evening at The Dep! 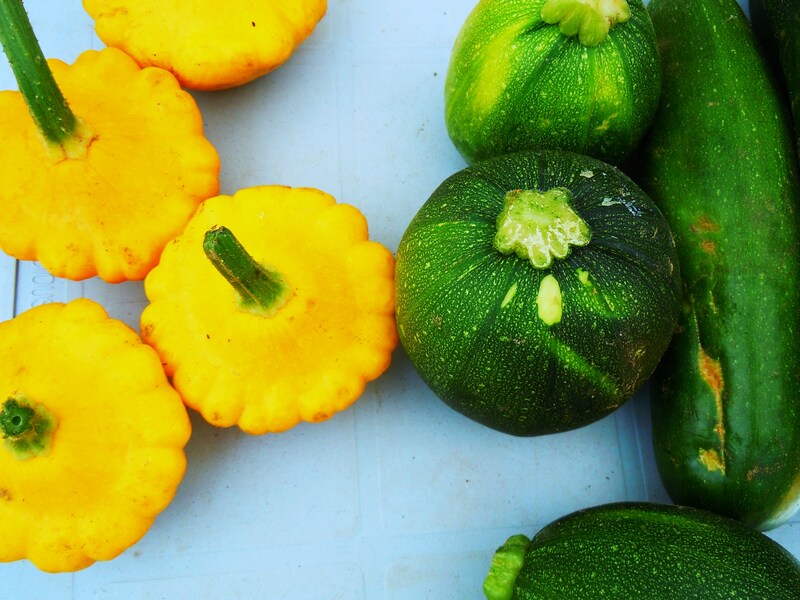 AND, be sure to check out the mini farmer’s market on Tuesdays from 4:30pm-7:30pm out on the side patio, the truckload of frozen summer treats on hand (Augie’s Ice Pops and Organic Meadow ice cream! ), and Pork Ninja drop-in dinners EVERY THURSDAY for the summer! The Depannuer is located at 1033 College Street between Dovercourt Rd. and Dufferin Street. 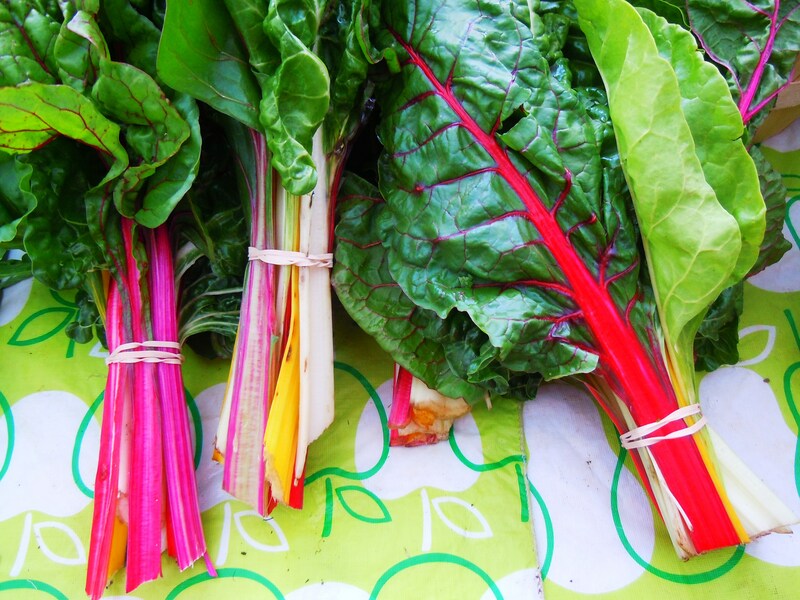 They are open from Tuesday to Sunday (closed on Mondays) with a number of cooking classes, food workshops, drop-in dinners, and supper clubs throughout the month, which you can keep up with on the Food Calendar or on their Twitter @TheDepanneur. Their cafe operating hours are as follows: Tuesday-Friday 8am-6pm (6pm onward for Tuesday, Thursday, and Friday drop-in dinners), and Saturday-Sunday 9am-6pm for weekend brunch and lunch (6pm onward for supper clubs). You can view The Depannuer’s Facebook page here. 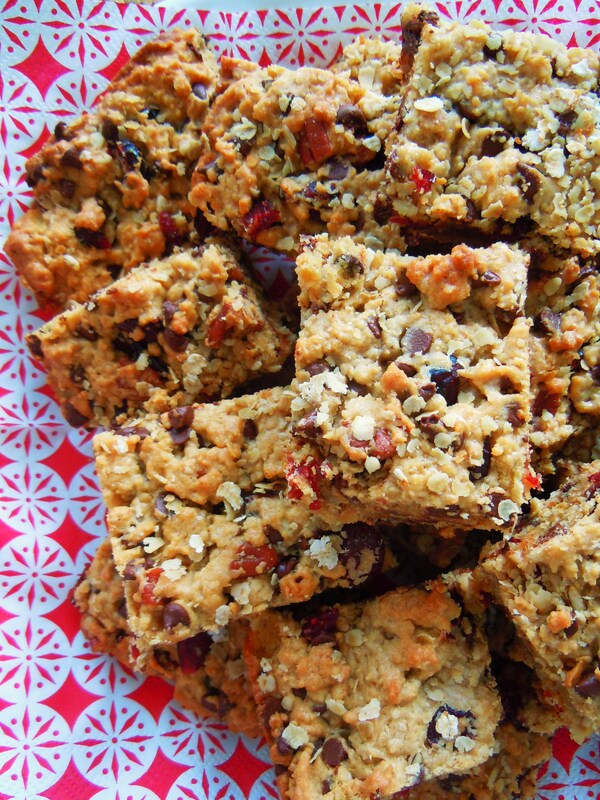 Raising the Baking Bar – New Recipes, New Loves & *NEW* Cranberry Chocolcate Pecan Oat Squares! I’m on cloud nine. I just had one of the best baking experiences EVER over the weekend and I’m so excited to share the goods with you all! Ate by Ate has been starving for some baking love for a few months now and while I’ve been collecting recipes and thinking of new ideas, I haven’t put on oven mitts in goodness knows how long. And if I have, it’s only been to open and shut my beloved George Foreman grill! It feels SO good to bake. I’ve missed it and even though it’s really only been a few months, it feels like an eternity to me. And it felt so fabulous trying something new! Everyone knows I love cookies and cupcakes, but for the first time in my life, I took a crack at baking squares and bars! It sounds ridiculous, I know. “You’ve never made brownies?! You’ve never used a 9×13 pan? !” Sad, but true. But there’s a first time for many things in life and this is mine. 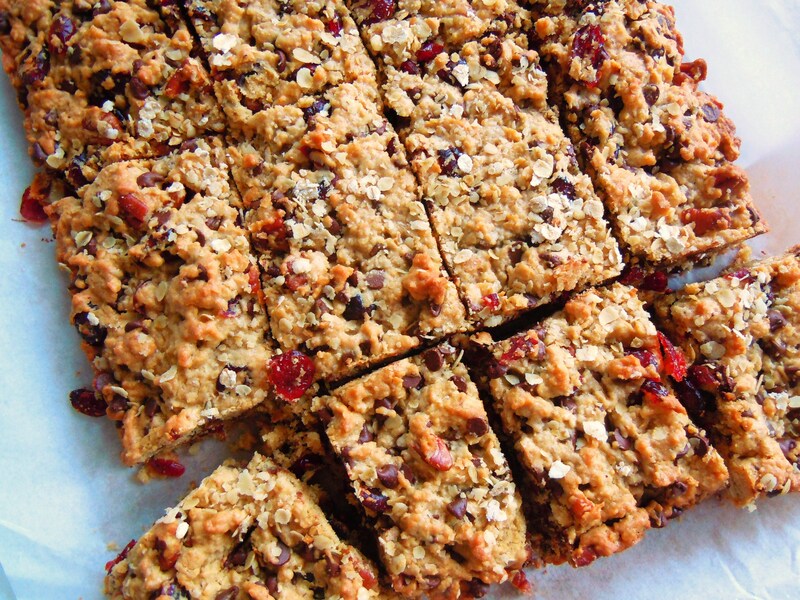 I used my brand new 9×13 pan to make cranberry chocolate pecan oat bars and squares and they turned out amazing! I got the recipe from Kraft Foods ‘What’s Cooking’ magazine (Festive 2007) and I fell in love with the recipe the second I saw it. And for those of you who might be unfamiliar with Kraft’s magazine, ‘What’s Cooking’ is a quarterly publication available through subscription only. Not to fret though because all of these magazine recipes are also available online on their website at kraftcanada.com. There are literally hundreds upon hundreds of recipes of all kinds on their website (dinner ideas, sandwiches, desserts, pasta, meats, barbeque, you name it!) so if you’re interested in online recipe surfing, that’s your way to go. But you know me – hard copy rules my heart! 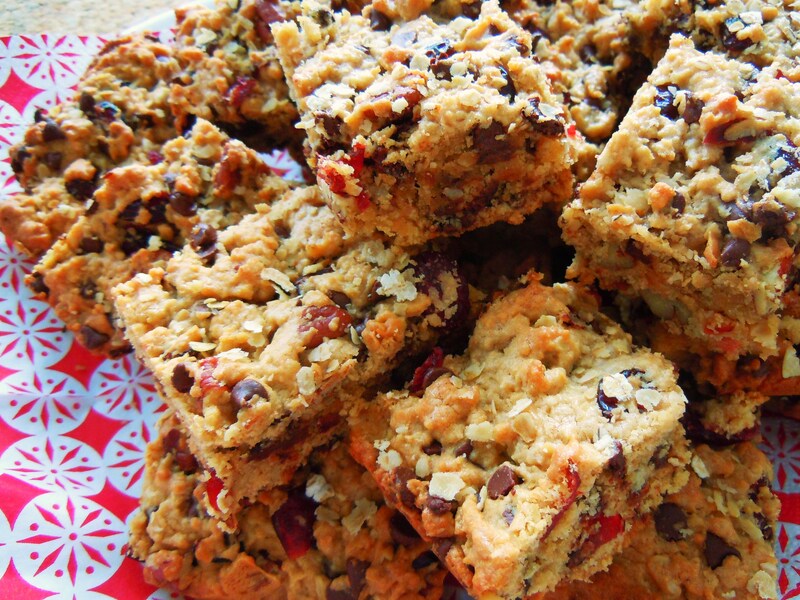 After making these, I am so in love with making bars and squares. 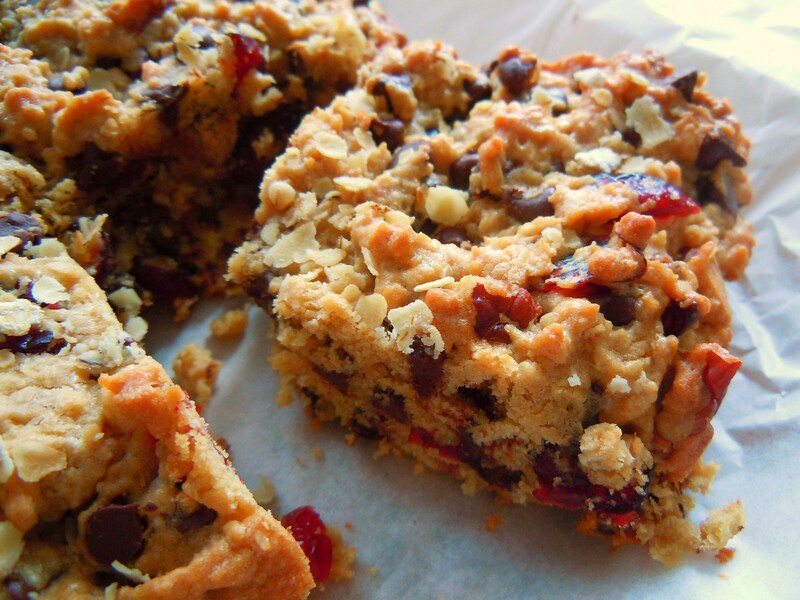 They are so incredibly easy to make and they’re almost like one of my favourite cookies, cranberry white & dark chocolate chip cookies, only in square form! Beware if you’re allergic to nuts though; these have pecans in them so if you omit them you can substitute them with different dried fruit. Or, you know, some more chocolate! Preheat oven to 350°F. Combine cranberries and orange juice in microwaveable bowl. Microwave on HIGH 30 sec. Let stand 10 minutes. (*Deb’s Note: remember, I didn’t use orange juice so if you find yourself in my shoes, just measure out the cranberries and put them aside for later). 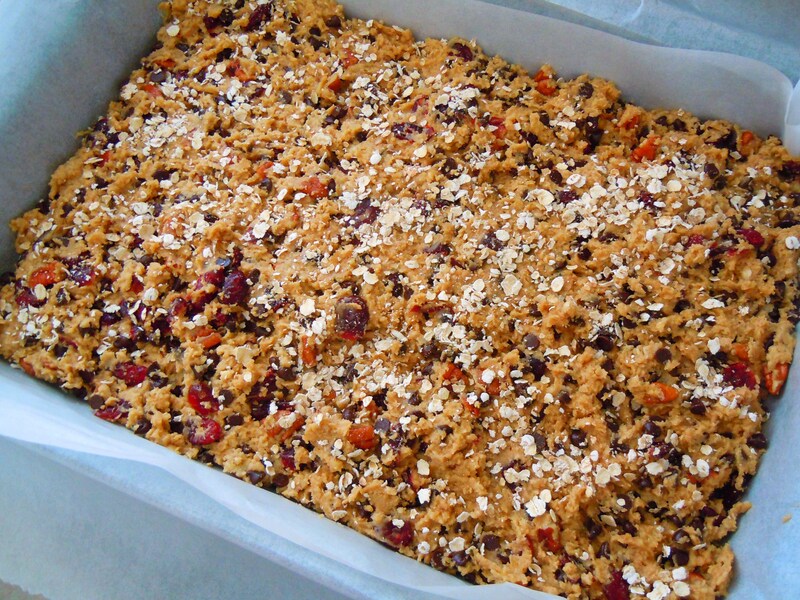 Meanwhile, combine flour, oats, baking powder and salt; set aside. 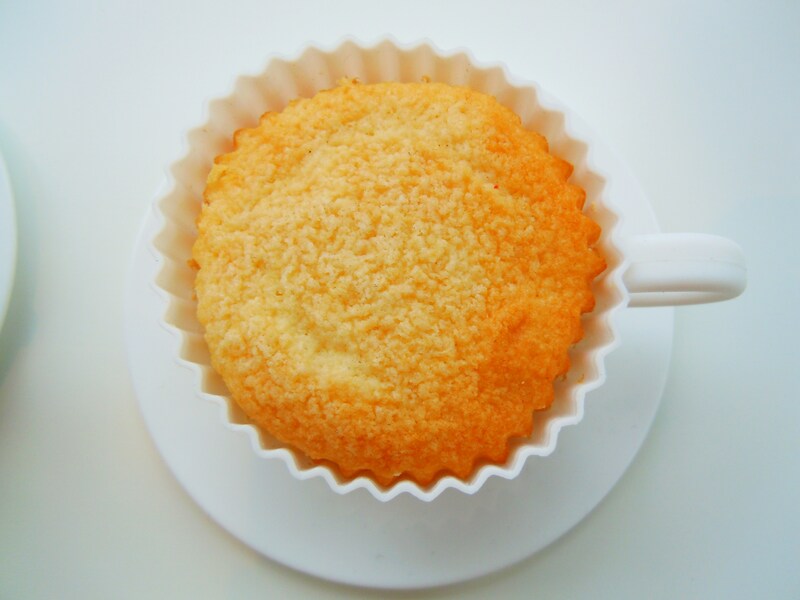 Beat margarine and sugar in large bowl with electric mixer on medium speed until light and fluffy. 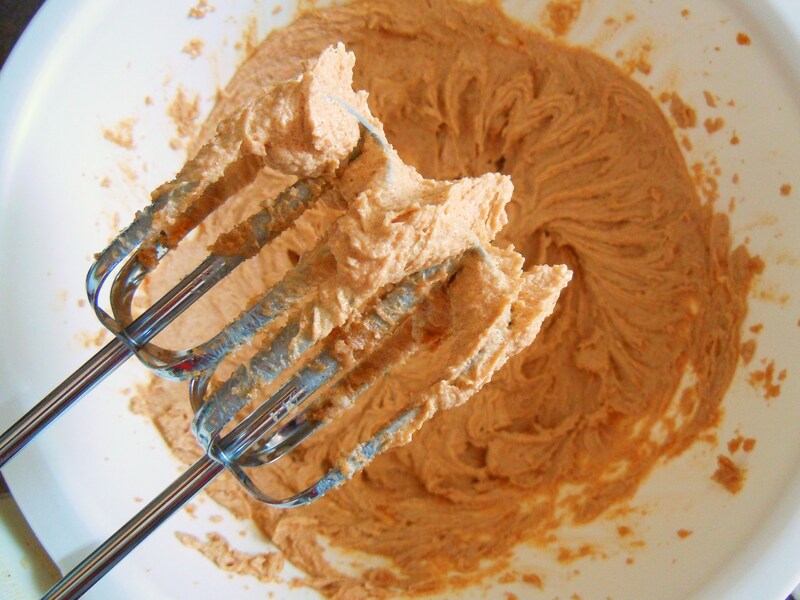 (*Deb’s Note: I used a handheld mixer and I also used butter as opposed to margarine). Add eggs, 1 at a time, beating until well blended after each addition. 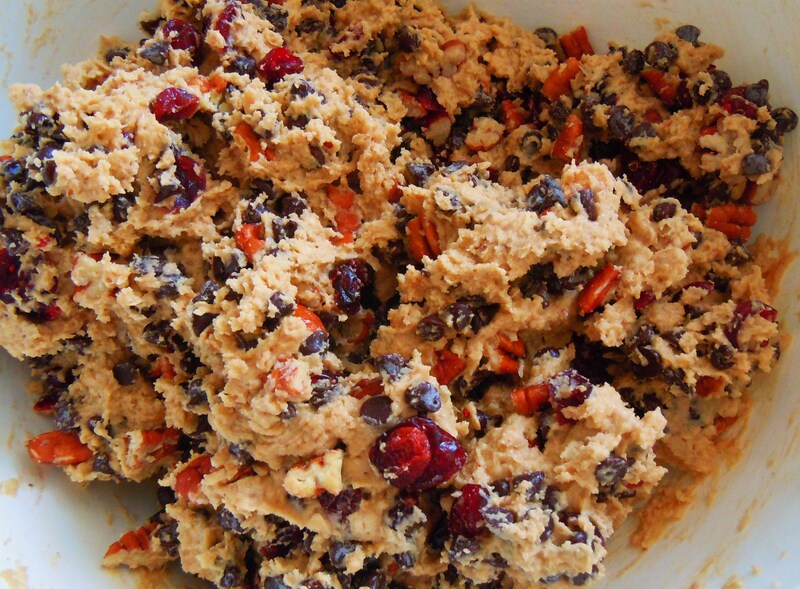 Gradually add flour mixture, mixing well after each addition. Stir in cranberries (and orange juice if you’re using), chocoate and pecans. Spread dough firmly into 9×13-inch baking pan sprayed with cooking cooking spray (*Deb’s Note: I lined my baking pan with parchment paper and had “handles” hanging off the sides so it would be easy to lift out the giant baked bar after cooling). Bake 20 to 22 min. or until centre is set. Cool completely on wire rack before cutting to serve (*Deb’s Note: mine took 21 minutes and I left mine to cool for an hour before cutting. Cooling is absolutely necessary because it will literally crumble if you try to take it out too soon). Recipe taken from Kraft Foods Canada ‘What’s Cooking’ magazine, Festive 2007, page 23.